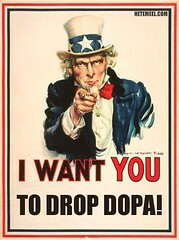 I Want you … to Drop DOPA! I haven’t written much about DOPA (Deleting Online Predators Act), though I certainly made my opinions about social networking software clear in my megapost on the subject. I was appalled, but not surprised, by the overwhelming support and passage of the bill in the House. There were three things working in the bill’s favor: 1) the fact that most congressmen have probably never used social networking software, 2) the title of the bill — anyone who voted against that bill could easily be portrayed as someone who voted to protect sexual predators, and 3) the fact that it’s an election year and congressmen want to be seen as people who are protecting people’s kids from sexual predators. It doesn’t matter what the bill was about really; what mattered was what it was called and how most people (in an age of uncritical acceptance of sensationalist journalism) would construe a vote against a bill with that title. However, I was rather surprised and disappointed that my congressman, Bernie Sanders, voted against it. Vermont’s representatives usually listen to our librarians on issues of intellectual freedom and privacy and tend to lean strongly to the left. Luckily it looks like good old Patrick Leahy is working to slow things down in the Senate. Nevertheless, contact your Senators and urge them to vote against DOPA. Seriously, please do. Given the way the bill defines social networking software, this legislation has the potential to block much more than MySpace and Facebook and to prevent public and school libraries from using many of the terrific online tools out there to serve and educate their patrons. YALSA’s report on the positive aspects of social networking software. Michael Stephens’ excellent piece on the growing paranoia surrounding online social tools like Flickr and MySpace in the ALA TechSource Blog. I’m not convinced. I’d rather err on the side of protecting children from internet predators. 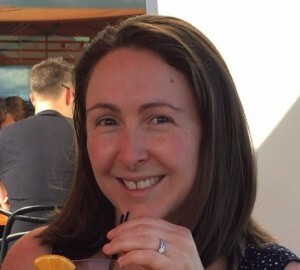 Nat, just out of curiosity, how does this actually protect children when they can go to any library that doesn\’t accept e-rate money, or go to an Internet cafe, or go home and access those very same sites?